SEO is complicated. For someone without a lot of experience in managing SEO campaigns, the technical aspects can quickly become overwhelming. Trying to balance content creation, technical on-page SEO, link building, keyword research, and dozens of small SEO-related tasks can be almost impossible for a single person. In fact, it is impossible without some SEO tools to help you out. That’s just one SEO campaign, too. Imagine running many SEO campaigns in different industries simultaneously. Here at RiseFuel, we manage SEO and inbound marketing campaigns for many clients. In order to do that, my team and I have to use a stack of tools to help us manage the different aspects of running effective client campaigns at scale. If you want to be serious about SEO is 2019, you need to invest in at least a few basic tools so that you can focus on the big-picture strategy and avoid getting bogged down in the details. SEMRush describes themselves as an “all-in-one marketing toolkit” and it's an adept description. Their tool encompasses a wide range of digital marketing tasks including organic research tools, advertising research tools, display advertising tools, backlink monitoring and analysis tools, keyword research tools, and product listing ads. While the platform may have grown in recent years, SEMRush still has its roots in SEO and search engine advertising. It’s one of the most comprehensive SEO tools available today, with features that can help you throughout all layers of your SEO strategy. Organic research Understand the SERPS and understand your competition. See your competitors’ best keywords. Discover new competitors that you were previously unaware of. Observe changes in ranking positions for your most important keywords. Backlink monitoring Conduct a deep-dive link analysis for your own domain (or the competition). Understand the referring domains’ authority. Check different backlink types among your competitors and use that information to replicate them for yourself. Keyword research Find the right keywords with high volumes for your SEO campaigns. Gather phrase matches and related keywords to bolster those campaigns. Find long-tail keywords with low competition. When it comes to the top SEO tools in 2019, SEMRush is perhaps the most well-rounded SEO tool available today. The wealth of information that they provide makes it easy to optimize and improve your campaigns after just a few hours of research in their system. SerpStat is a relatively new entrant into the market but has quickly become one of the most popular SEO tools and platforms available today. While they bill themselves as a “growth hacking” platform, their tools primarily focus on SEO. These are just the categories of their different tools, too. Each category contains several tools and features that cover a number of different tasks as they apply to the broader category. Their keyword research tool, for instance, includes features for collecting keywords, determining their value, finding variations to improve your semantic score, discovery international data, and check the relevancy of pages on your website for specific keywords. HubSpot is one of the most important tools that we use here at RiseFuel. There are few clients that we help that don’t end up using at least a part of HubSpot’s broader platform. HubSpot is a behemoth in the digital marketing scene. Although their software started out as an inbound marketing-focused solution today HubSpot’s platform has grown into a three-headed monster, with separate products for marketing, sales, and customer service. 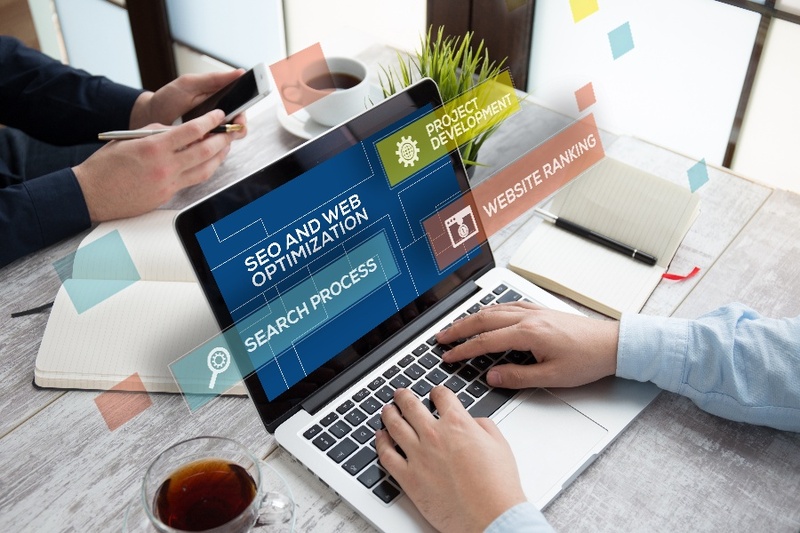 With their original focus on inbound marketing came a lot of SEO features that still make it one of the top SEO tools of 2019. Their SEO and content strategy features start with their in-depth content strategy planner. Their system provides topic suggestions based on relevance, competition, and popularity. Their system is also updated monthly with the latest search data. Their integrated content tools help you to create valuable content clusters that help you to dominate specific categories of the search. Additionally, their content management system provides you with real-time recommendations as you create your content. The on-page SEO advice helps you to ensure that your pages are primed to compete for the most valuable keywords in your industry. Their analytics systems also give you the ability to measure traffic and your real return on investment from your SEO efforts — something that many companies struggle with. Spyfu is one of the most advanced keyword research tools available today. Their system digs deep into search results and domains to help you find information about your industry, advertisers, and competitors. Using their data, you can re-shape your SEO campaigns to be more exact and effective. Spyfu’s system allows you to search for any domain and see where they show up on Google, including every organic keyword and every keyword that they target through adwords. In addition to this, they also show you every ad variation that they have used over the course of the last 12 years — dating back to when the Spyfu system first debuted. Their competitor research tool allows you to deep-dive into both organic and PPC competition research so that you can gain a better understanding of your industry and identify keyword opportunities for your SEO and PPC campaigns. Their system is a bit less comprehensive than some of the others on the list, but no less valuable. The detailed competition insights are worth their weight in gold. RankActive is an SEO tool and platform that focuses almost exclusively on organic search. Their platform is designed to be an all-in-one SEO solution for agency that want to invest primarily in a single tool, instead of a stack of tools. RankActive is an excellent tool for anyone that wants a comprehensive solution and a way to simplify their investment in SEO tools. Effective SEO is an incredibly complicated endeavor. A well-rounded strategy will spread even a team of people so thin that tools are a requirement to compete in any industry. The tools on this list are the ones that I use here at RiseFuel, to deliver revenue-generating campaigns for my clients. If you are looking for the 5op 5 SEO tools for 2019, I would recommend the options on this list.